Upcoming workshops for 2018 & 2019 will soon be posted. It was truly a joy to teach Painting the Figure in an Interior Setting at the Salmagundi Club, New York. 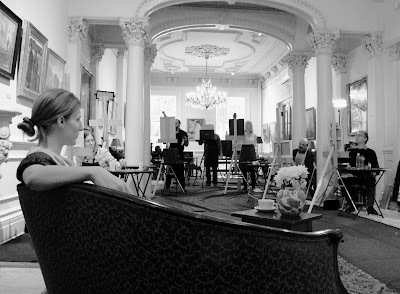 We had the pleasure to paint the graceful and inspiering Katya Danko in the context of the magnificent beauty and rich artistic traditions of this space. 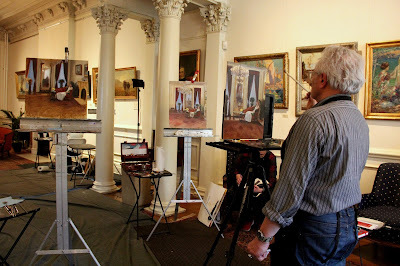 The participants were guided through the process of painting the figure while addressing other composition elements of the interior from their unique perspective in the room. 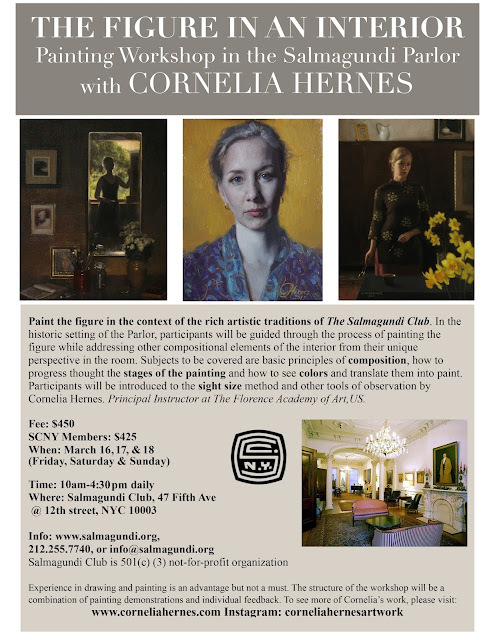 "Painting with Cornelia has been an amazing experience for me. 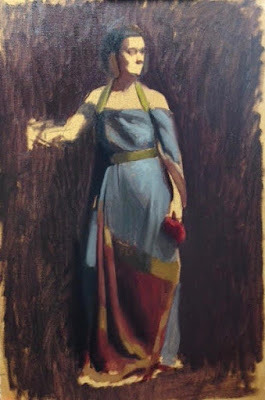 Not only is she a remarkable painter and masterful at her craft, she is a formidable teacher as well..." Michael Storrings. "...Cornelia is a great, precise, soft spoken communicator. Her comments are very articulate and more importantly, fresh and honest. No clichés on art appreciation and techniques." 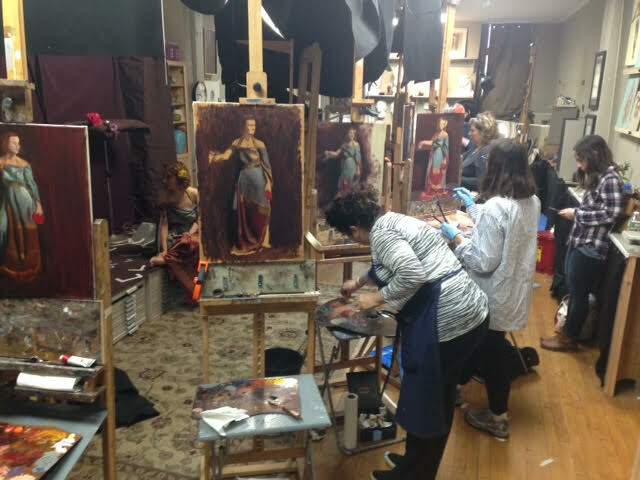 Painting the Draped figure at The Long Island Academy of Fine Art, was a wonderful experience. 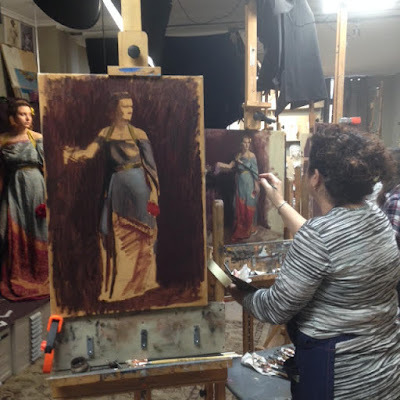 It was my first time teaching this subject, although I have painted draped figures many times. 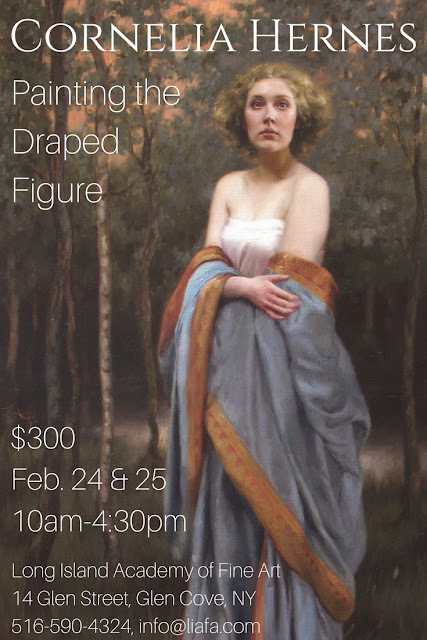 I was impressed with what everyone achieved in two days and I am looking forward to teaching this class again at some point. The major challenge was to recreate consistency in the larger planes of the fabric on the live model, while being able to pick and choose from the changes that would naturally occur with the specific folds of the fabric. "Amazing Set-up and exceptional instruction which were very clear and always right on point" Dana D.
"Cornelia created a great tone and atmosphere in this workshop. She combined a nice blend of demo, group instruction and very individualized attention which met various levels of experience" K.G. "...I have learned so many ways to see in just two days! 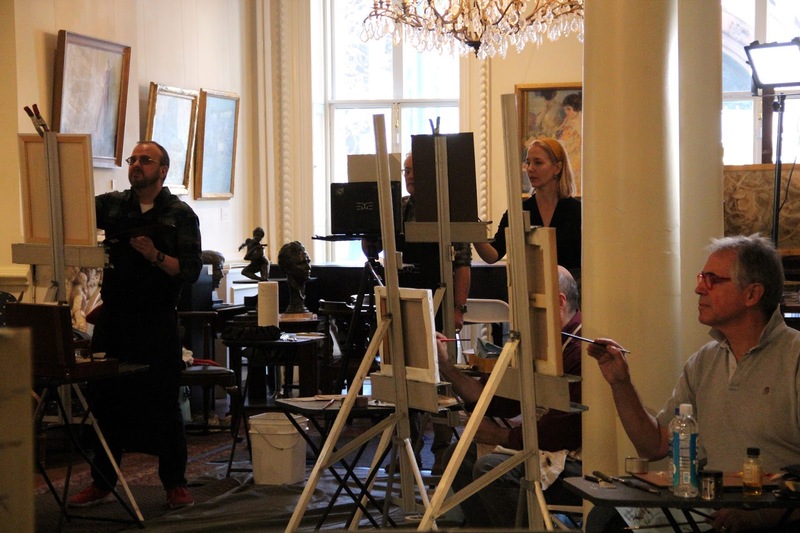 I can't wait to incorporate all of these new tools into my practice." 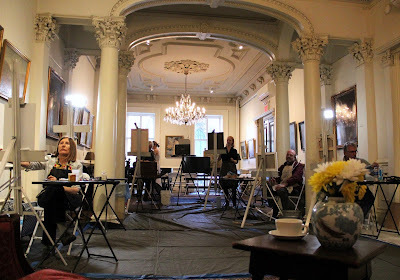 Chelsea.